CWB Chicago: Guess What Happens When A City Doesn't Treat Serious Crimes Seriously? Guess What Happens When A City Doesn't Treat Serious Crimes Seriously? 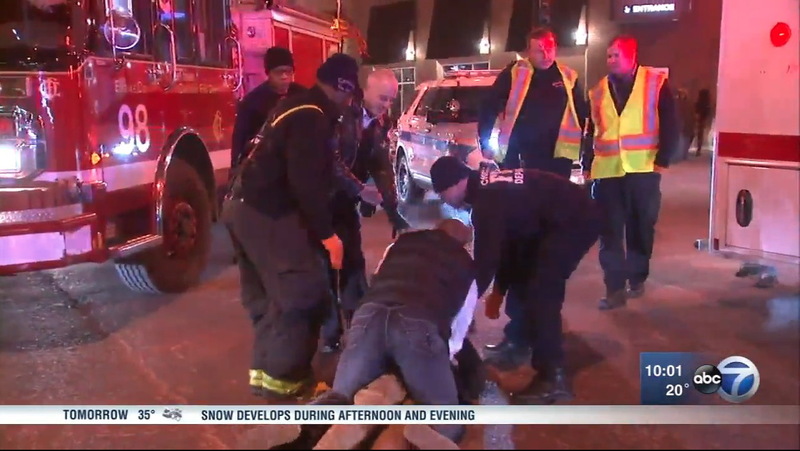 Chicago leaders including Mayor Rahm Emanuel and Police Superintendent Eddie Johnson think they’ve identified a major reason for the city’s out-of-control carjacking problem. In 2015, the year before the current rise in vehicular hijackings began to build, Illinois changed the way it handles some juveniles who are charged with the crime. Under the new law, defendants age 15- through 17-years-old would no longer be tried in adult court for serious crimes such as committing armed robbery or carjacking with a firearm. So, who led the march to roll back the consequences of those crimes? But the new system is letting many juvenile carjacking offenders walk free with no punishment at all, according to a Sun-Times report published today. Chicago Police data show juveniles are contributing to the rise of armed carjackings: 42 juveniles were arrested for that offense last year through Dec. 16, compared with 31 adults. Not every juvenile who’s arrested is charged. Some never appear in court. But of the 49 youths charged with aggravated vehicular hijacking last year in Cook County juvenile court, 29 were released on electronic monitoring; one other was released to a parent without such monitoring, records show. That means they most likely were held in detention for fewer than 24 hours, authorities say. The Wall Street Journal also has a report today about Chicago’s carjacking challenge. Chicago police blame the surge on lax punishment for juvenile offenders and light punishments for motor crimes in the state. Chicago’s largest police union also cites a pursuit policy that is more restrictive than in other cities, prohibiting officers from chasing a vehicle being driven erratically for fear of injuring bystanders. But read the Journal story with caution. The paper’s report is lazy with the facts about violent crime trends in Chicago: “A rise in carjacking across Chicago has spooked residents even as police celebrate a drop in violent crimes such as shootings and homicides,” the story opens. The Journal appears to think that violent crime only includes shooting and killing people. It doesn't. Violent crime includes homicide, criminal sexual assault, robbery (of which carjackings are one category), and aggravated battery. Oh, it's true Chicago's gun violence was down in 2017—but only if you compare it to the disastrous outlier year of 2016. Shootings and homicides are still at decade-high levels. Overall, last year's violent crime tally was the second-worst in the past five years. Compared to 2013, violent crime in the city was up 7% last year. Compared to 2015, the year before all hell broke loose, last year’s violent crime count last year was up nearly 14%. Did you catch that? Since penalties against juveniles were rolled back in 2015, more people are being shot than ever in Chicago. Since penalties against juveniles for armed carjacking were rolled back in 2015, carjackings have skyrocketed. It's enough to make you think that maybe, just maybe, carjackings aren't the only crime that is on the increase because penalties are on the decrease. Donate $49 to CWB's operating fund and we'll reward you with members-only reports and services all year long. Click here!